The author of the animation port with Anderius and the script: Vitaliy Sharapov (vk.com/idjei). The author of animation: Deniska. Author of the guitar model: VIRTUS. Installation: 1) from the CLEO folder, move everything to sdcard0 / android / data / com.rockstargames.gtasa. 2) from the folder Gta3.img replace the model in gta3.img. To do this, use the Img tool. 3) transfer the texdb folder to sdcard0 / android / data / com.rockstargames.gtasa / files. Activation: Open the Cleo menu, select - Guitar.csi, press - 1 + 5 (Zone on the screen) and Cj starts playing the guitar. 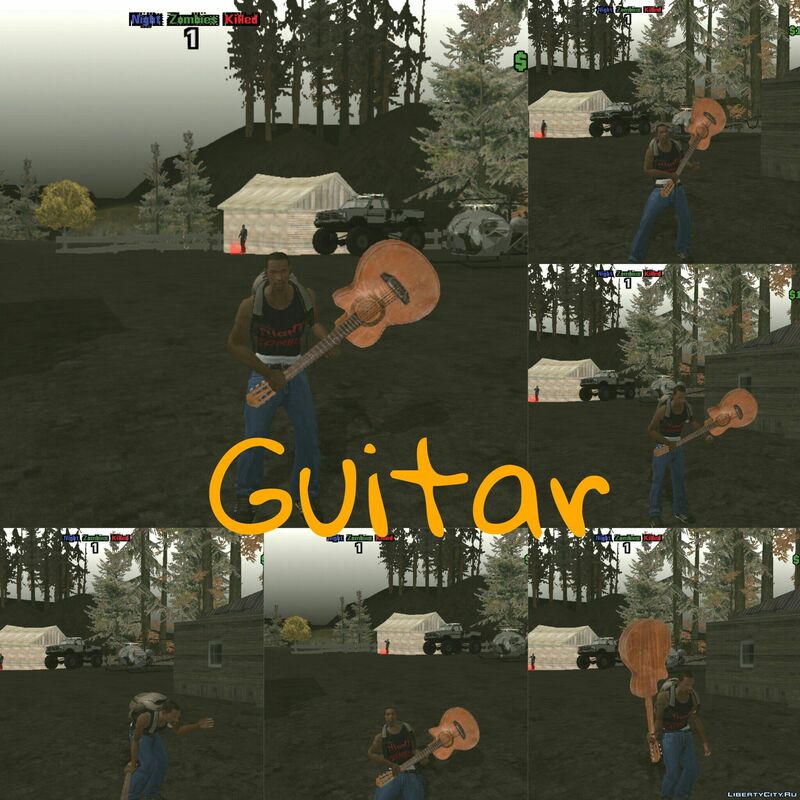 Description: This mod adds the ability to play the guitar. This opportunity was still in the distant global fashion "Anderius"
Game Cj is accompanied by music) After playing the guitar Cj charge - 1000 $. Ты где видел, чтобы так гитару держали?